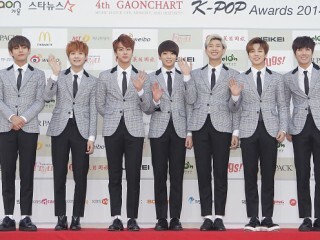 Apr 11, 2017 02:43 PM EDT BTS becomes first K-Pop group to get a Billboard Music Awards nomination By Maria A.
BTS ­has been nominated for the 2017 Billboard Music Awards, making them the first K-Pop idol group to land a nomination. Gong Minzy is all set for a solo debut following her departure from 2NE1 last year. In fact, the idol is getting much love and support from her fans and co-celebrities. Apr 10, 2017 04:13 PM EDT Highlight announces comeback, concert; What has changed for the group since leaving Cube? By Maria A. A lot has changed for the former members of Beast after they reintroduced themselves as Highlight. But mostly, it's the good kind. Apr 09, 2017 08:41 PM EDT American artists Before You Exit, Great Good Fine Ok attend BTS' Anaheim concert; Celebs that are huge BTS fans By Maria A. Not only is idol group BTS getting attention from K-Pop fans across the global, but they're also getting noticed by musical acts from the West. Apr 09, 2017 07:16 PM EDT The rise of BTS: How the group is changing the face of K-Pop with a message of hope By Maria A. In a recent interview, the members of BTS discussed their recipe for success and Rap Monster's latest collaboration with American rapper Wale. 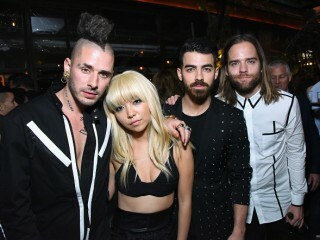 Apr 09, 2017 06:57 PM EDT American band DNCE reveals which K-Pop artist they want to collaborate with By Maria A.
DNCE recently staged a soldout concert in Korea and revealed the K-Pop artist they would want to work with. More than the choreography and upbeat tunes, BTS considers lyrics as one of the most important factors in creating music not only for entertainment, but also to deliver an important message. Apr 08, 2017 03:26 PM EDT Miss A Min's JYP Entertainment contract to expire in April; Is Miss A disbanding? By Maria A. 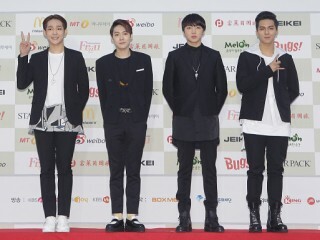 For their first comeback in over a year, WINNER has reorganized into a four-member group and shared their thoughts on Nam Taehyun's exit. Apr 08, 2017 03:02 PM EDT Former 4minute members have mini reunion; Where's HyunA? By Maria A. The members of 4minute recently had a mini reunion with all members present-except for one member.